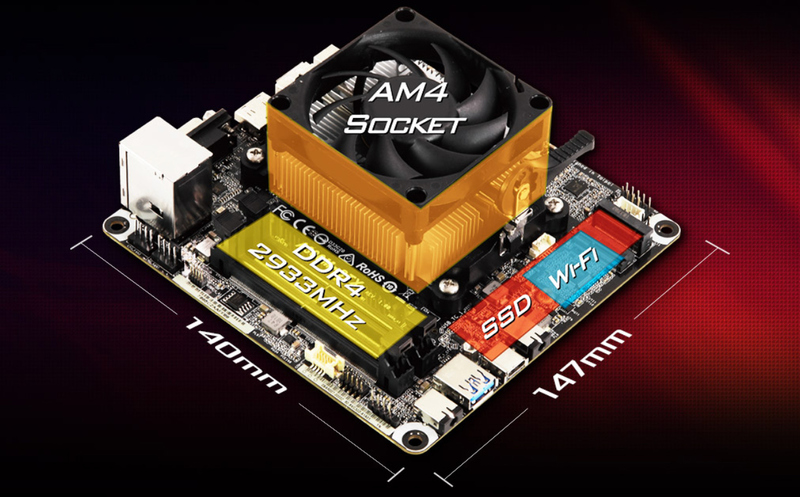 ASRock has introduced its miniature DeskMini A300-series desktop PC barebones that are powered by AMD AM4 processors with integrated graphics. The world’s first Mini STX platform supporting AMD Ryzen CPUs is just 1.9 liters in volume, though it supports everything systems of this class can offer, including multiple storage drives, display outputs, and so on. ASRock’s DeskMini A300-series systems are based on AMD’s A300 chipset and support AMD’s AM4 APUs, including Ryzen and Athlon-branded Raven Ridge processors as well as A-series Bristol Ridge processors with up to 65 W TDP. It is noteworthy that the barebones come without a CPU cooler, which has to be bought separately (cooling systems with up to 46 mm z-height are supported). The DeskMini A300 barebones are equipped with two DDR4 SO-DIMM slots supporting up to 32 GB of DDR4-2400 or DDR4-2933 memory depending on the APU used (Ryzen or A-series). As for storage, the DeskMini A300 feature two M.2-2280 slots for SSDs (PCIe 3.0 x4 and x2/x4) as well as two 2.5-inch bays for SATA SSDs or HDDs that can be RAIDed (0 and 1 modes are supported). Unlike some of ASRock’s Intel-based DeskMini systems, the A300 does not support discrete graphics in MXM form-factor, so it relies solely on iGPUs. Speaking of graphics, it is necessary to note that the A300 supports three display outputs (DisplayPort 1.2, HDMI 2.0, D-Sub). 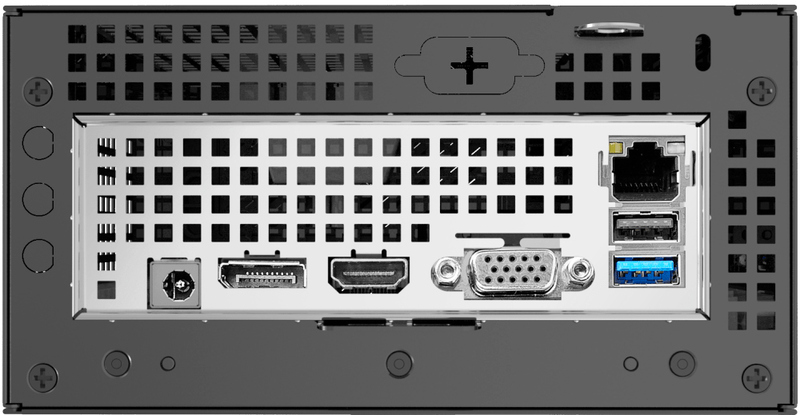 As for general connectivity, ASRock’s DeskMini A300 has a GbE (controlled by the RealtekRTL8111H), USB 3.1 Gen 1 Type-A and Type-C ports, a USB 2.0 Type-A connector, one M.2-2230 slot for a Wi-Fi + Bluetooth module (the DeskMini A300W SKU comes with a preinstalled Intel AC-3168 wireless module), audio connectors, and so on. ASRock’s DeskMini A300-series systems come with external 0 W power bricks, which should be more than enough for PCs that do not use a discrete GPU and support only 65 W AMD APUs. ASRock has not announced any information about pricing of its DeskMini A300-series barebones, but keeping in mind that they are powered by AMD’s entry-level A300 chipset and even come without a CPU cooler, it is logical to assume that they will be priced very reasonably.